K oththu Night is the annual event organised exclusively for KUAA families. 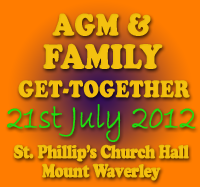 The success of this event was evident as there was nearly 150 KUAA family members. 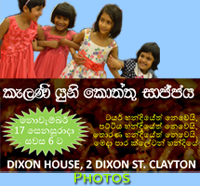 Arguably this was the largest gathering of families from University of Kelaniya outside Sri Lanka. The occasion provided an ideal and best opportunity for all of them to meet, talk and build friendship. T he KelaniNite 2012 on Saturday 12th May was a highly successful and enjoyable event patronised by a large gathering of members, associates and their families with a host of well wishers. The highlights of the day were, singing items by vocalists from the members and associates, dances by members and music by a well known music group Mistery, followed by a dancing session where everybody took to the floor till midnight. In the midst, all were treated to a scrumptious Sri Lankan dinner. 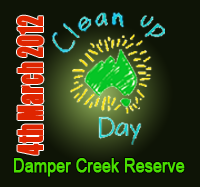 KUAA members participated at the Clean-up day Australia activitis at the Damper Creek in Mount Waverley for the fourth year in succession. The weather favours us and was ideal for the outing. The quantity of the garbage collection seems declining showing the increases awareness of the people around and other users. 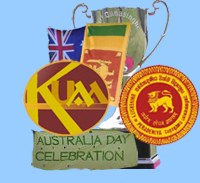 The annual Cricket match betwen Kelaniya Alumni and Peradeniya Alumni was played at the Mulgrave Reserve. Both teams tried some serious stroke play and bowlers doing their bit and umpire equally serious and spectators enjoying the euphoria of the happy occation, making it a memorable one.